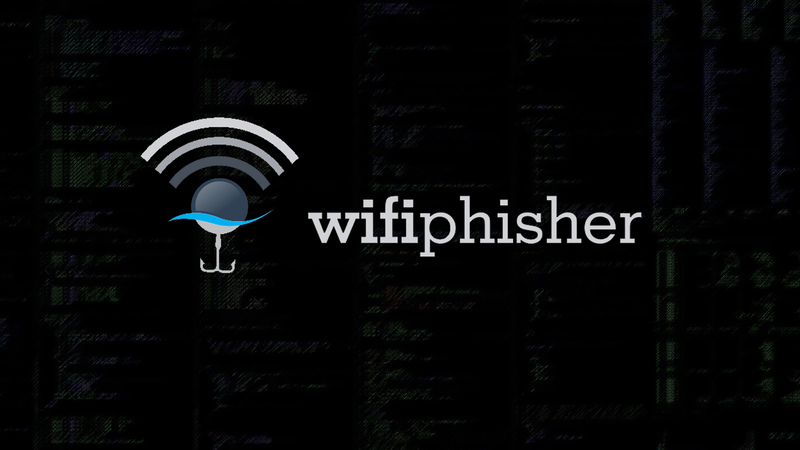 Wifiphisher is a security tool that mounts automated victim-customized phishing attacks against WiFi clients in order to obtain credentials or infect the victims with malwares. It is primarily a social engineering attack that unlike other methods it does not include any brute forcing. It is an easy way for obtaining credentials from captive portals and third-party login pages (e.g. in social networks) or WPA/WPA2 pre-shared keys. Kali Linux. Although people have made Wifiphisher work on other distros, Kali Linux is the officially supported distribution, thus all new features are primarily tested on this platform. One wireless network adapter that supports AP & Monitor mode and is capable of injection. For advanced mode, you need two cards; one that supports AP mode and another that supports Monitor mode. Drivers should support netlink. -dP DEAUTHPACKETS,    Choose the number of packets to send in each deauth burst. -pK PRESHAREDKEY,     Add WPA/WPA2 protection on the rogue Access Point. Use wlan0 for spawning the rogue Access Point and wlan4 for DoS attacks. Select the target network manually from the list and perform the "Firmware Upgrade" scenario. Useful for manually selecting the wireless adapters. The "Firware Upgrade" scenario is an easy way for obtaining the PSK from a password-protected network. Automatically pick the right interfaces. Target the Wi-Fi with ESSID "CONFERENCE_WIFI" and perform the "Plugin Update" scenario. The Evil Twin will be password-protected with PSK "s3cr3tp4ssw0rd". Useful against networks with disclosed PSKs (e.g. in conferences). The "Plugin Update" scenario provides an easy way for getting the victims to download malicious executables (e.g. malwares containing a reverse shell payload). Do not target any network. Simply spawn an open Wi-Fi network with ESSID "FREE WI-FI" and perform the "OAuth Login" scenario. Useful against victims in public areas. The OAuth Login scenario provides a simple way for capturing credentials from social networks, like Facebook. After achieving a man-in-the-middle position using the Evil Twin or KARMA attack, Wifiphisher redirects all HTTP requests to an attacker-controlled phishing page. Victim is being deauthenticated from her access point: Wifiphisher continuously jams all of the target access point's wifi devices within range by forging "Deauthenticate" or "Disassociate" packets to disrupt existing associations. Victim joins a rogue access point: Wifiphisher sniffs the area and copies the target access point's settings. It then creates a rogue wireless access point that is modeled by the target. It also sets up a NAT/DHCP server and forwards the right ports. Consequently, because of the jamming, clients will eventually start connecting to the rogue access point. After this phase, the victim is MiTMed. Furthermore, Wifiphisher listens to probe request frames and spoofs "known" open networks to cause automatic association. Victim is being served a realistic specially-customized phishing page: Wifiphisher employs a minimal web server that responds to HTTP & HTTPS requests. As soon as the victim requests a page from the Internet, wifiphisher will respond with a realistic fake page that asks for credentials or serves malwares. This page will be specifically crafted for the victim. For example, a router config-looking page will contain logos of the victim's vendor. The tool supports community-built templates for different phishing scenarios. Firmware Upgrade Page: A router configuration page without logos or brands asking for WPA/WPA2 password due to a firmware upgrade. Mobile-friendly. OAuth Login Page: A free Wi-Fi Service asking for Facebook credentials to authenticate using OAuth. Browser Plugin Update: A generic browser plugin update page that can be used to serve payloads to the victims. Network Manager Connect: Imitates the behavior of the network manager. This template shows Chrome's "Connection Failed" page and displays a network manager window through the page asking for the pre-shared key. Currently, the network managers of Windows and MAC OS are supported. info: This section defines the scenario's characteristics. context: This section is optional and holds user-defined variables that may be later injected into the template. Beacon frames contain all the information about the target network and can be used for information gathering. The main process gathers all the interesting information and passes them to the chosen template on the runtime. Note that the above values may be 'None' accordingly. For example, all the target_* values will be None if the user did not target an Access Point (by using --essid option). The 'target_ap_logo_path' will be None if the logo of the specific vendor does not exist in the repository. All the variables defined in the "Context" section may be used from within the template files. In case of naming conflicts, the variables from the configuration file will override those coming from the beacon frames. In order for wifiphisher to know which credentials to log, the values of the 'name' HTML attributes need to be prefixed with the 'wfphshr' string. During POST requests, wifiphisher will log all variables that are prefixed with this string. In this example, 'victim_name' and 'ISP' variables come from config.ini, while 'target_ap_vendor' variable is from the beacon frames. Both "wphshr-username" and "wphshr-password" will be logged.